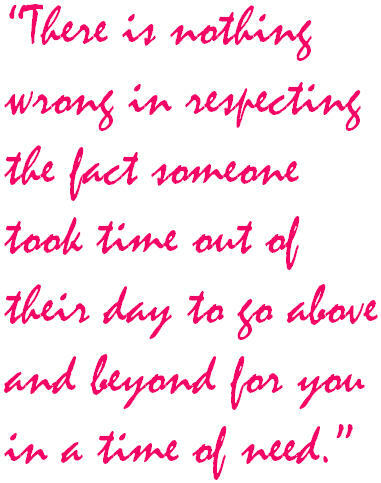 There is nothing wrong in respecting the fact someone took time out of their day to go above and beyond for you in a time of need. But that does not mean you have to spend a lifetime returning the favor. It ends up making you want to go it alone since you don’t want to pay the associated cost. I cannot begin to count how many times I have fallen into this cycle. It is a tad bit harder for me because I tend to have a hero complex. If I could save everyone either from them self or stupid situations I would. So, this jacks me up when I simply can’t do something for myself. Sometimes it has even caused hard feelings amongst friends. 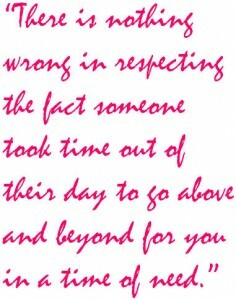 Because the ones who are always there feel slightest when someone who did one thing seemingly gets shown more appreciation. Or they watch when I begin to get walked on because the one time giver becomes a taker. All these things can cause stress. The bottom line is that the principle art of friendship is giving/taking. There should be no tab of kind deeds or attempt to keep up with what someone does (this does not mean staying complacent in friendship either). Allow people to help, that may be their own personal healing technique in them understanding the changes happening to you. But don’t allow anyone to begin to take advantage. “Pink for Pam” and “Painting a New Picture of Cancer” are registered trademarks of Pink for Pam, 2012, all rights reserved.